With more than 70,000 square feet of temperature and humidity controlled storage space, we can store anything - from a box to a full truckload. 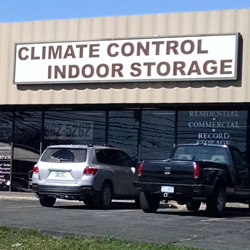 At Climate Control Indoor Storage of Ann Arbor, we have staff on duty during all business hours to assist you. With 24-hour security and surveillance, an indoor loading and unloading dock, available hand trucks, carts, pallet jacks, and forklift, and easy access to expressways, storage for your residential or commercial needs has never been easier or more convenient. 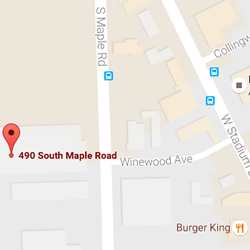 We are the largest all-indoor, climate-controlled storage facility in Ann Arbor, MI. We have 70,000 square feet of temperature- and humidity-controlled storage space to meet all of your residential and commercial storage needs. But don't just take our word for it - come take a tour of our facility, and see for yourself why we are Ann Arbor's premier storage facility! Whether you're looking to securely store computer backups and old records, or looking to receive and store shipments and deliveries, we have solutions that help you manage your inventory and warehousing needs while protecting your property in our temperature and humidity controlled environment. And our interior loading dock makes loading/unloading even easier! Our climate-controlled facility is ideal for storing all sorts of household items, from furniture to clothes to unused seasonal items. 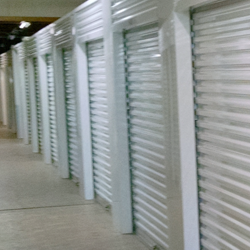 Our facility is safe and secure, and you have access to your storage unit seven days a week. With Climate Control Indoor Storage, you can rest easy knowing your belongings are safe and secure in your temperature and humidity controlled unit. I had a great experience storing here. You provide a great service. - Adelle G.
I will definitely be back in the Fall! - Gayle V.